We have a range of special shapes available to be booked for balloon festivals worldwide. 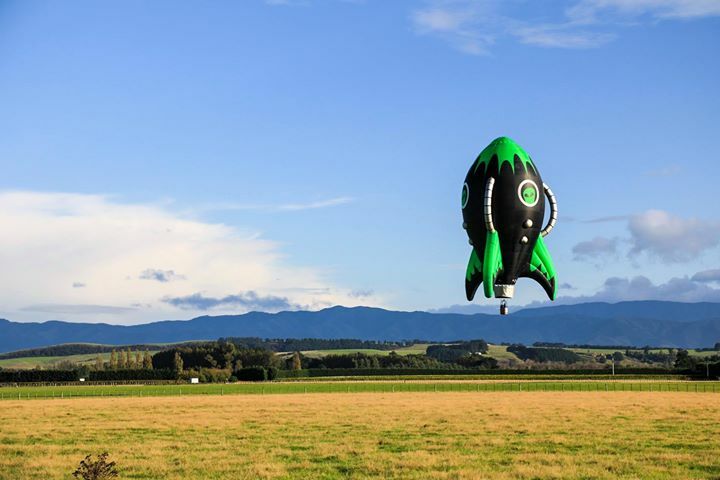 The Alien Rocket is Alain Bard's brainchild. Alain always wanted to be an astronaut, so when he decided to build his own special shape hot air balloon, he decided it had to be a rocket ship! 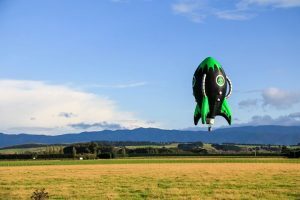 The Alien Rocket was completed in 2016 and has been a super-successful shape, flying in over 7 countries to date. 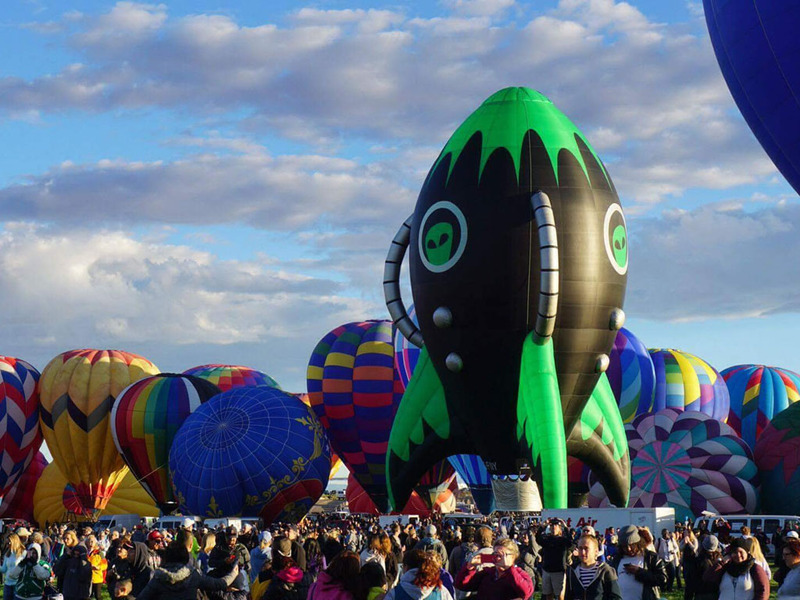 Kids and adults, boys and girls, everyone loves the Alien Rocket. 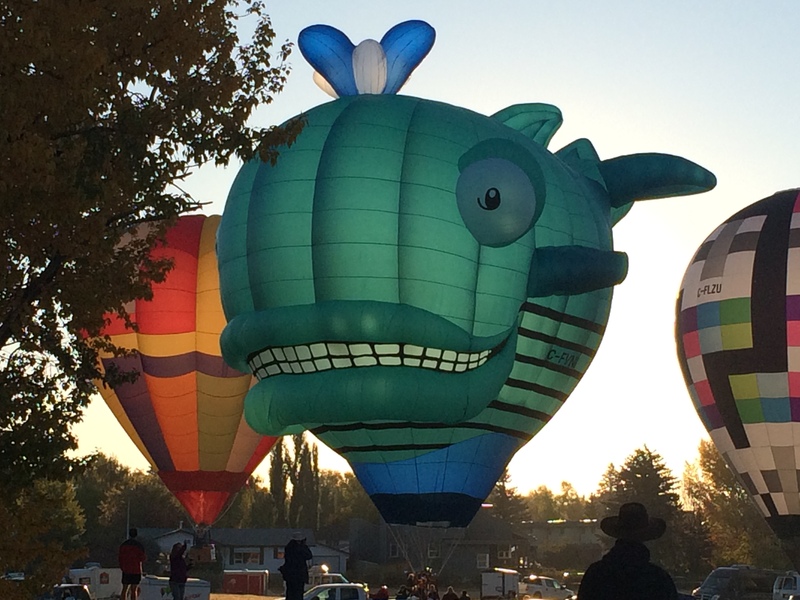 It somehow ignites childhood dreams whenever and wherever it flies. 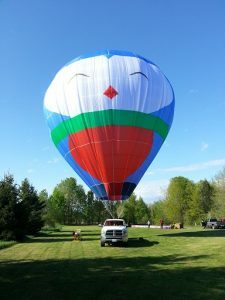 It is made of lightweight fabric which makes it much lighter than a regular special shape (100kg envelope), and the entire system fits on one small skid for easy international transportation. 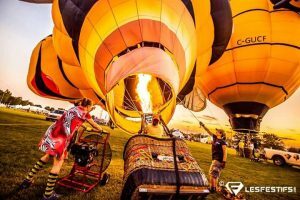 It only requires a small team of 5 local crew, and can take one (1) VIP on each flight. 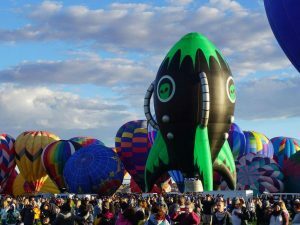 The volume, weight and size were all carefully calculated to makes it easy to handle, one that is almost guaranteed to come out of the bag, unlike some other shapes that are a little more involved. The lightweight fabric and the fact that it uses fluorescent fabric make it glow well during “night glows”. The newest creation to come out of the workshop in 2017, we completed Gone Whelan - and no, it's not a typo! 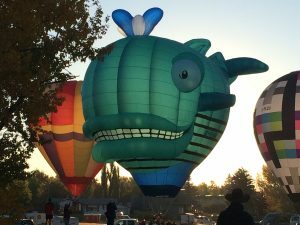 Coming in at 105,000 cu ft, and with very complex patterning to get the whale body shape, this Special Shape Hot Air Balloon is the most ambitious project we have attempted to date, and took the better part of a year to complete. Every vertical gore has a different set of patterns and it has very complex internal structure. 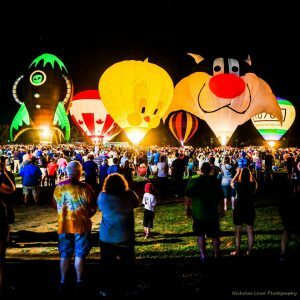 Gone Whelan has made some successful appearances all over Canada in 2017 and is available for bookings. 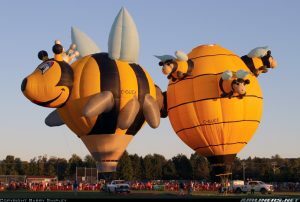 The Bunch of Bees Special Shape Hot Air Balloon, affectionately known as "BoB", was built and contructed here in Ottawa, Canada, and was completed in 2013. BoB is a tribute to Bees, and the plight of bees in our world, and BoB it is a a representation of a hive with 6 bees. The Bunch of Bees balloon took over 1500 hours to complete, and has a main envelope volume of 105,000 cubic feet. It was one of the first special shapes ever built with lightweight fabric. 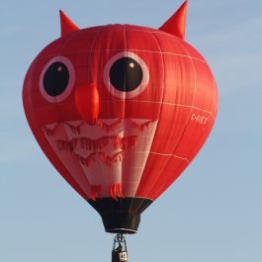 It has made several successful appearances in Canada in the last few years, and is available for bookings. 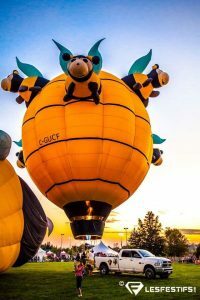 After the Bunch of Bees balloon was completed, one of our female team members wanted her own Bee-themed Balloon, so in asking the question: What’s at the core of beehive? the only answer is a Queen Bee, of course. 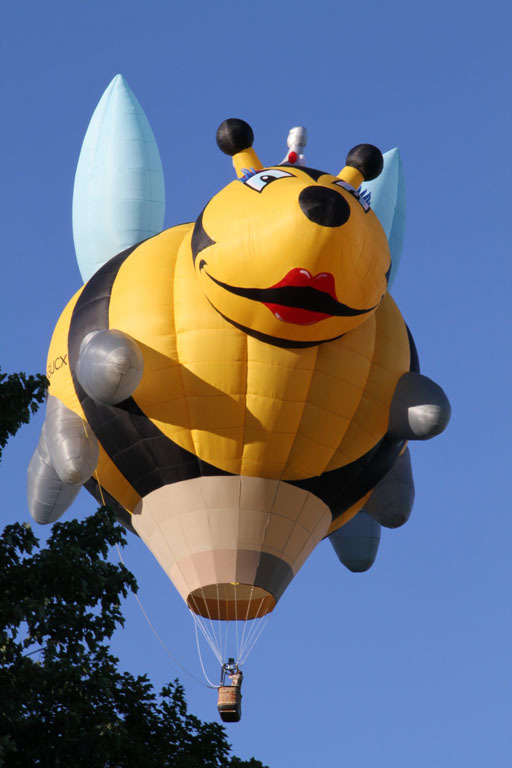 This Special Shape Balloon is just that - a Queen Bee, also know as QUEEN BEELOON. She wanted the Queen Bee to be very feminine – so it was constructed with eyelashes and red lips, and a crown with jewels. This balloon was also completed in 2013 (just after BoB), is also made out of lightweight fabric, has made several successful appearances in Canada in the last few years, and is available for bookings. 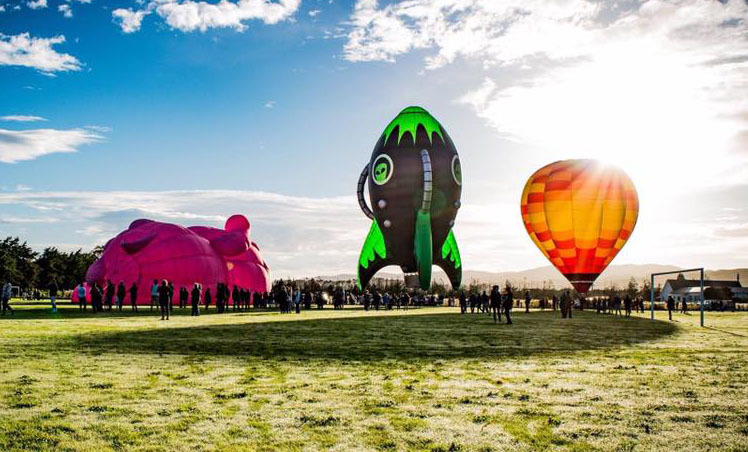 In 2014, we completed 2 add-on special shape balloons. 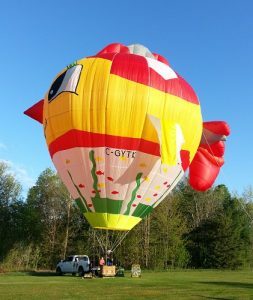 The registration marks for these 2 balloons came in as C-GYTK and C-GYUU, so during construction, C-GYTK became known as Tiki, and C-GYUU became known as YuYu. So here we have YUYU the Penguin, and TIKI the Fish, both 77,000 cubic foot envelopes, and made of lightweight fabric, with add-ons. 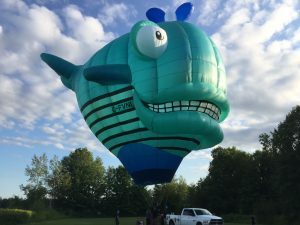 YUYU the Penguin has made one very successful international appearance in Taiwan in 2015, and both balloons have made several Canadian appearances over the last few years. They are both available for bookings. SHE'S A HOOT! another lightweight 77,000 cubic foot add-on special shape balloon was completed in 2015. It is available for bookings.